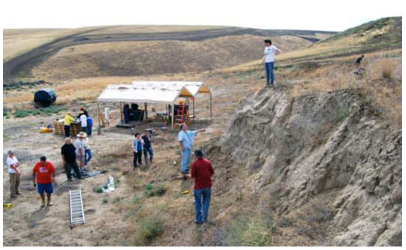 The Coyote Canyon Mammoth Site (Dig Site) consists of the excavation/collection area of the eastward facing fossil-containing slope, a wet screening area for washing and sorting samples, and a parking area for volunteers and tour attendees. 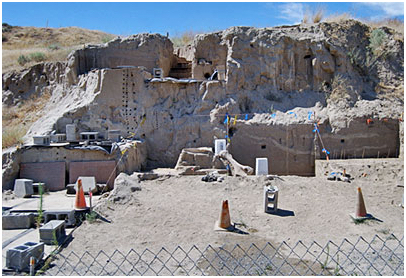 View of dig site and support canopies in 2008. 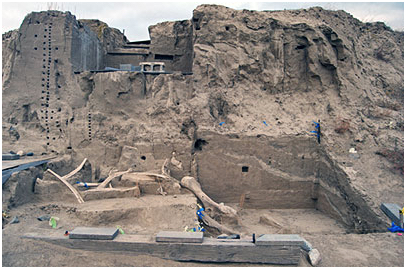 View of excavation in September, 2011. 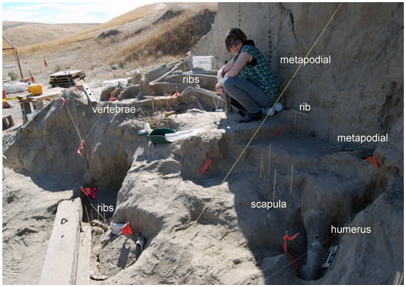 View of bone bed in September, 2011. 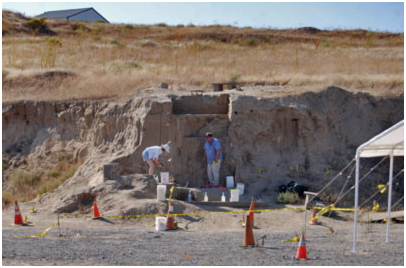 View of excavation on September 9, 2012. 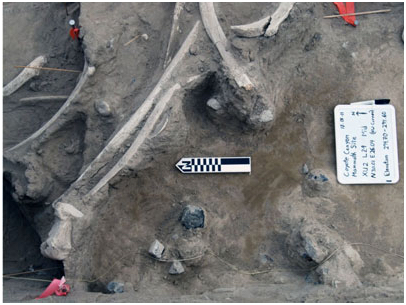 View of excavation on October 11, 2014. View of excavation on August 14, 2016.